Get your home smelling fresh again with Oxyfresh All-Purpose Deodorizer. This air deodorizer safely and completely removes odors caused by cooking smells, smoke, pets and other stinky situations. Freshen without harsh chemicals. Unlike store brand air deodorizers packed with chemical-ridden fragrances, Oxyfresh All-Purpose Deodorizer has natural essential oils plus our exclusive ingredient Oxygene®. 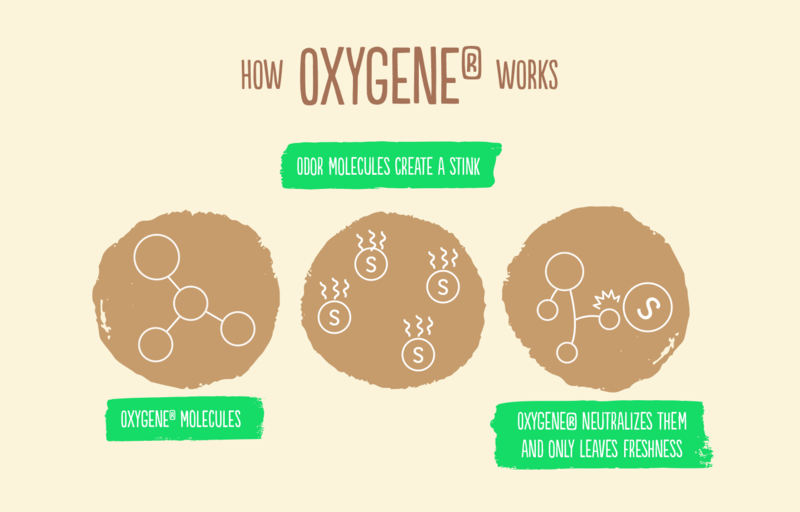 Safe and non-toxic, Oxygene® doesn’t just mask odors … it gets rid of odors completely. It’s a clean you and your family can always feel good about. Oxygene® (Stabilized Chlorine Dioxide): Disrupts bacterial colonization, oxidizes volatile sulfur compounds, eliminates oral odors, has disinfectant properties. Our line of home care products includes the exclusive odor-eliminating ingredient Oxygene®, which neutralizes odors from clothing, litter boxes, laundry hampers, carpets, countertops, shower curtains and more. Our All-Purpose Deodorizer fortified with Oxygene® offers premium protection against odors that no store brand deodorizer can match. Spray or apply directly to area. Check for colorfastness of dyed materials prior to use. Store in a cool area. Keep out of reach of children. For external use only. I have used Oxyfresh toothpaste for over 10 years and started using some of their other products and I am very satisfied. My order arrived on time and in excellent condition. I love the all purpose deodorizer. I was a customer when Oxy first started. Good products. Have used it for years. I don't like the "odor" of the regular deodorizers that are marketed all over the place. All-Purpose Deodorizer really does a great job in my Pilates studio. After every class we wipe down all the equipment and there is no film or residue left behind like other cleaners leave. And my clients comment on the fresh, clean smell of my studio. I use Oxyfresh All Purpose Deodorizer to clean my hardwood and laminate floors. I dilute just a little bit to a bucket of water. No streaks and it cleans wonderfully. I use the All-Purpose Deodorizer to protect against odors around the house with my pets. I spray it on my fruits and vegetables to keep them fresh, and I also take it with me to hotel rooms to spray down the floors and make it fresher smelling during my stay. I add the All Purpose Deodorizer to our vaporizers in the office to make the air cleaner. The All Purpose Deodorizer is a great product. We spray it on the pre-packaged lettuce we buy, because it turns brown so quickly. We have found that spraying the All-Purpose Deodorizer onto the lettuce makes the lettuce fresher, longer.